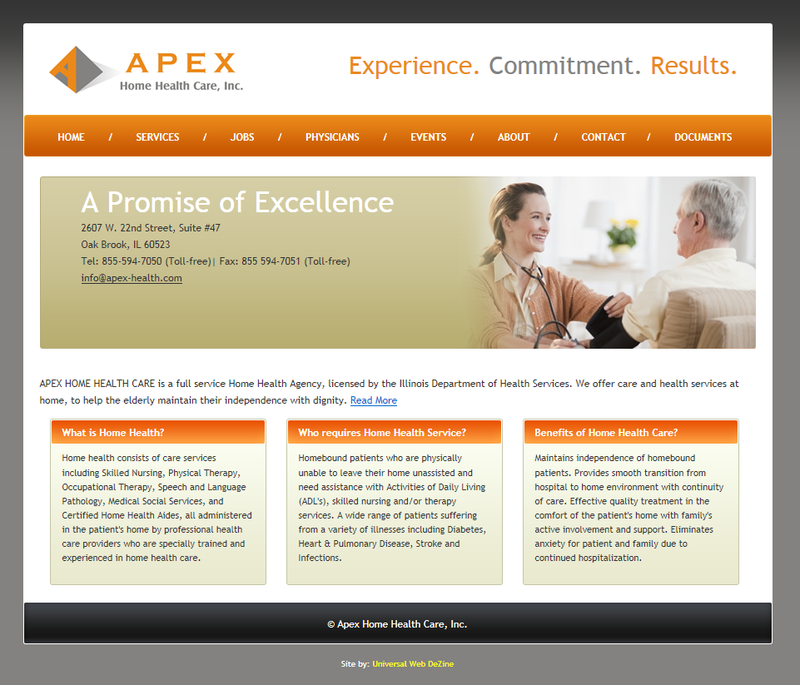 APEX HOME HEALTH CARE is a full service Home Health Agency, licensed by the Illinois Department of Health Services. We offer care and health services at home, to help the elderly maintain their independence with dignity. We provide free evaluation, and tailor the care to the needs of the individual and his or her family. Our care providers include Certified Nurse Assistants, Certified Home Health Aides, Registered and Licensed Practical Nurses, Physical, Occupational and Speech Pathologists, and Licensed Medical Social Workers.